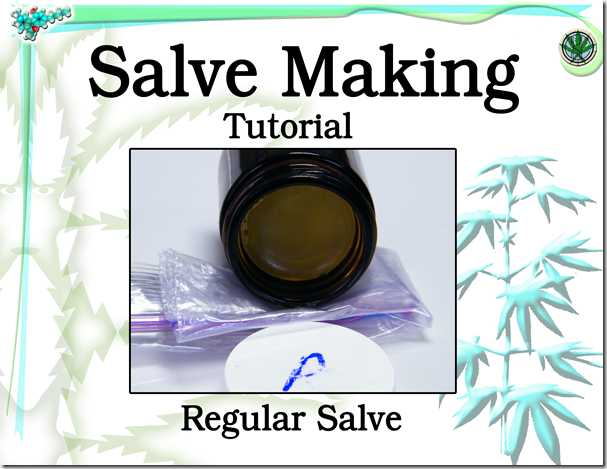 Making a basic salve is just one step beyond preparing a topical massage oil. By stirring melted beeswax into an infused vegetable oil you can produce a semi-solid medicinal salve to rub into your skin. Combining the active ingredients in the infused oil with bees wax allows the preparation to remain on the surface of the skin longer, reducing the mess sometimes associated with massage oils. Salves are often used to localize medicinal effects to the area of need, such as skin lesions or joint pain. As i discussed in the article on topical cannabis oil, Cannabinoids bind to CB1 and CB2 receptor sites in the nerve fibres, sweat glands and a number of cells present in our skin. Topical application provides a way for the cannabinoids to activate these receptors without entering the bloodstream and travelling to the brain, important if you don’t want to feel ‘high’. Topical application may provide sufficient relief in itself, or act in addition to eating or inhaling cannabis. Dispensaries often offer cannabis massage oils and salves extolling their anti-inflammatory, analgesic, and localized health benefits. They are most commonly used by patients with arthritis who find that applying topical cannabis to their joints allows them to loosen up enough to perform daily tasks. Other members have found cannabis salve helps other skin conditions including eczema, psoriasis, and atopic dermatitis. Elaborations on the basic recipe can be made by adding essential oils or using vegetable oils infused with other herbs. The V-CBC have created several different salves to combine the effects of cannabis with other herbs suited for specific conditions. A combination with arnica infusion is commonly used for circulation and stiff joints; aloe is added for skin conditions and burns; and essential oils are combined to create a ‘tiger balm’ style preparation for deep muscle pain. Using a very similar technique, the V-CBC make a Lip Balm using regular massage oil, organic shea butter, organic beeswax, and crystalized vitamin C.
Different herbs come with their own warnings such as Arnica, which should not be used on open skin or by women who are pregnant or breastfeeding (more). 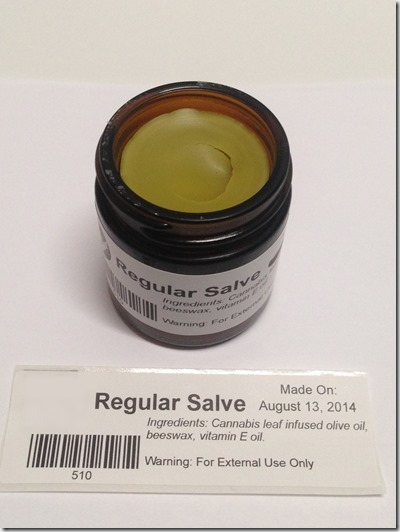 Some dispensaries have started using DMSO in their topical medications. DMSO is predominantly used as a vehicle for anti-fungal medications, enabling them to penetrate, not just skin, but also toe and fingernails. Extra caution is required when using DMSO, infections may occur where special care isn’t paid to ensure sanitary conditions. If possible use a double boiler to keep a low heat, if not, you can use a spare 1L. glass Peanut Butter jar in a pot of water. Label and Refrigerate out of reach of children and pets. How could this be adapted to make in the Magical Butter Machine? Add all your pre melted ingredients into the MagicalButter machine. Press 160°F or 71°c and for 1 hour. The MagicalButter machine will mix, grind, stir and infuse your ingredients to the perfect consistency. When it’s still hot, poor into your jars or tins. Thank you so much! Will let you know how it turns out! Would this still work the same if i swapped out olive oil for canola oil? Or does it hold different properties? I made something similar to this recipe using Olive Oil and Hemp Oil. Yes, I mixed it. I used my MagicalButter machine, and combine and 1/8 ounce of cannabis to this batch. I have chronic arthritis, and it works great. I made it using cayenne pepper, turmeric and fresh ginger. Although it has a strong herbal smell, it makes feel great. So, to combat the smell, I use lemon oil and my lotion and mix it together. I love it. It has to be refrigerated or place in the freezer. My recipe came from the Cannabis Spa book. It does make you a little woozy….lol, but it works. If I were to buy a concentrated cbd oil to make a salve, how much would I need to add with the oil to make 2 cups? I am in PA and don’t have access to the plants to make my own oil. Also, what concentration would be needed? Thanks in advance for any help! !